You will earn 1,174 Reward Points. Earn 1 reward point for every 1 dollar spent. 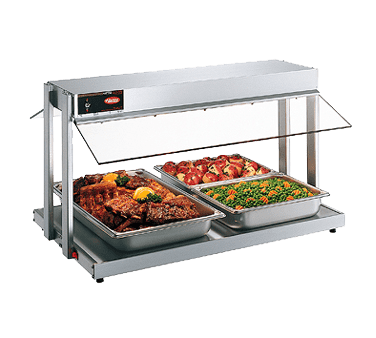 Glo-Ray® Buffet Warmers are ideal for holding hot food on buffet lines or at temporary serving areas. Seven optional Designer powdercoated colors coordinate these warmers with the décor while providing a durable, easy-to-clean surface. A metal sheathed element directs heat from above while the thermostatically-controlled heated base conducts heat below.